The Metal Box Co Ltd opened its factory at Perry Wood in May 1931. The factory was alongside the Worcester to Oxford line about half a mile from Shrub Hill station. The factory was produced metal cans for the food industry and other customers was served by sidings on the east side of the line. It was the last rail-connected industrial user in Worcestershire, but all rail traffic ceased about December 2012. This advert for the Metal Box Company Limited appeared in a Worcester City Football Club programme in August 1971. 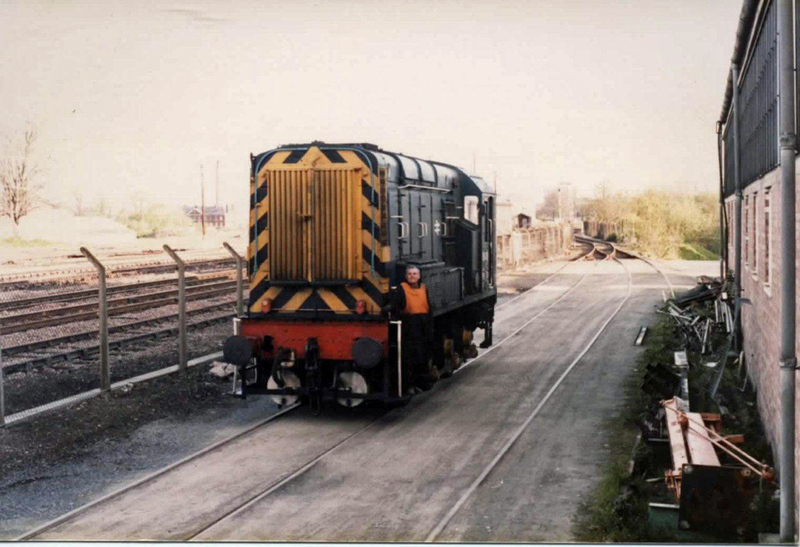 Richard Atkinson photographed this unidentified, possibly Cardiff based, class 08 diesel locomotive shunting the sidings at the Metal Box factory in Worcester in 1985. 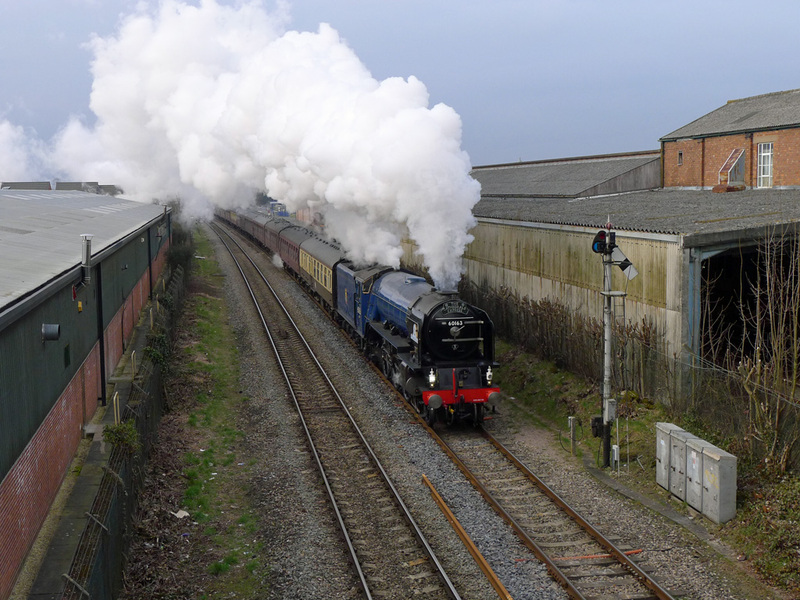 Robert Pritchard took this superb photograph of 'new build' A1 pacific No.60163 'Tornado' passing the Metal Box factory on 19th March 2013 whilst returning the 'Steam Dreams' special train to Tonbridge. Robert Pritchard used a telephoto lens to take this photograph of the sidings at Metal Box. 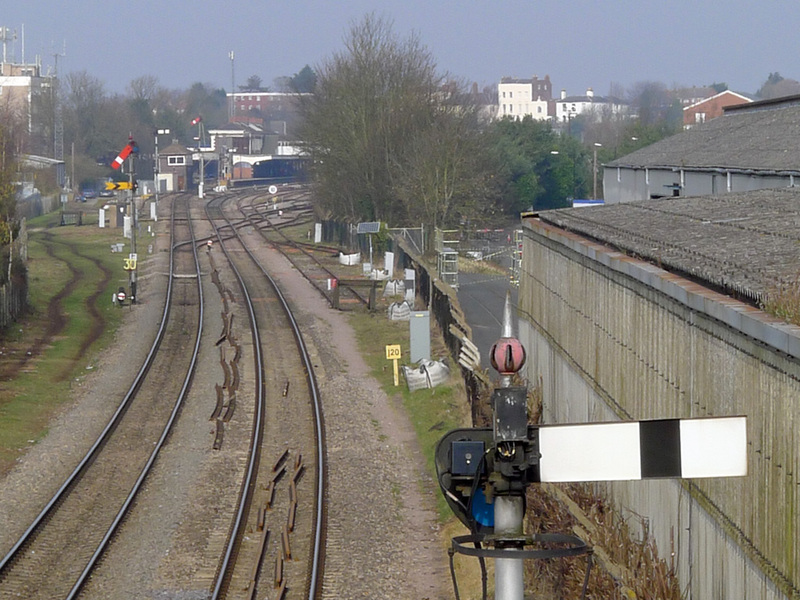 The signal is set for the passage of the 11:31 from London Paddington into Worcester Shrub Hill Station which is visible in the background. The crossover beyond the signal is to allow trains access to the yard at Worcester and through freight lines. 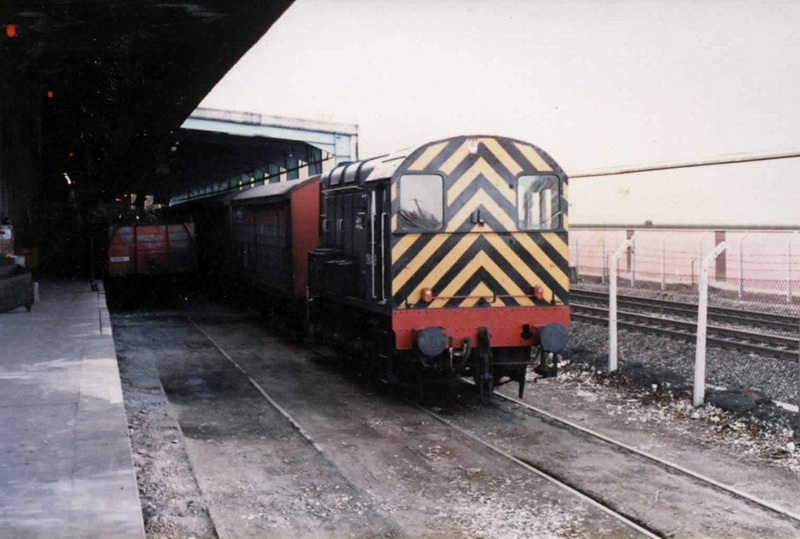 The Metal Box sidings consisted of a spur from the freight lines with one short siding and a longer one passing through the loading bay on the right hand side of the photograph. This photograph is taken from the same viewpoint but with a wider angle lens. 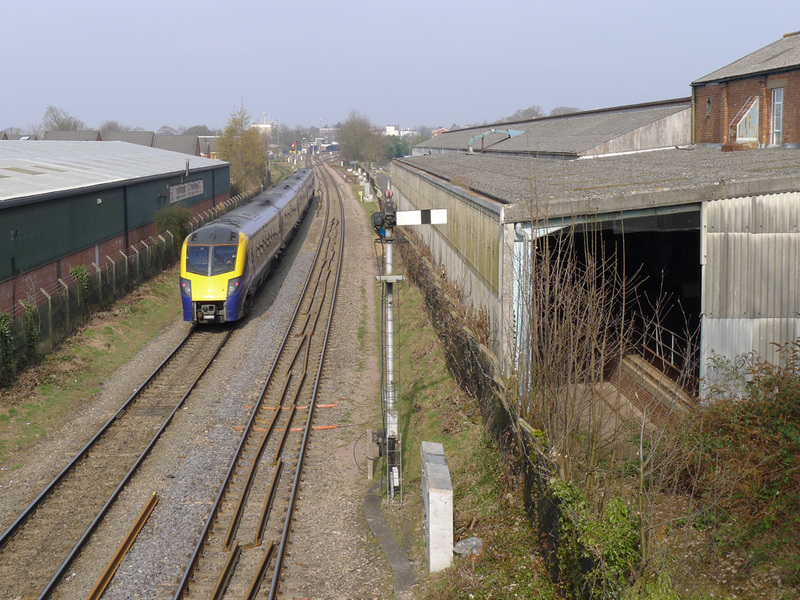 The train on the left-hand side is the 09:21 London Paddington to Worcester Foregate Street First Great Western service (train code 1W21) operated by five-car class 180 'Adelante' diesel multiple unit No.180108. The other end of the loading bay can be seen on the right-hand side with track embedded into concrete. Latterly the site had been served by the early morning Margam to Round Oak train which would stop in Worcester yard to shunt the siding but all traffic ceased about December 2012.